Perfect for building your own prize wheel or fixing up an old one. 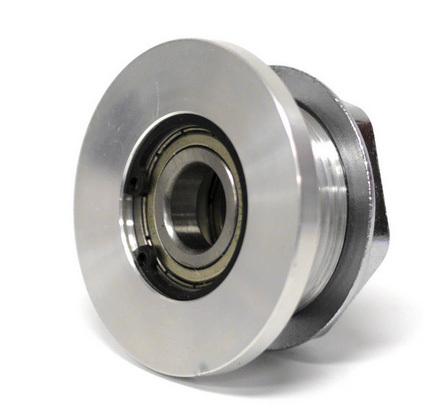 Our maintenance-free prize wheel hub assembly was made specifically for our hand built prize wheels and is now available to buy on it's own. 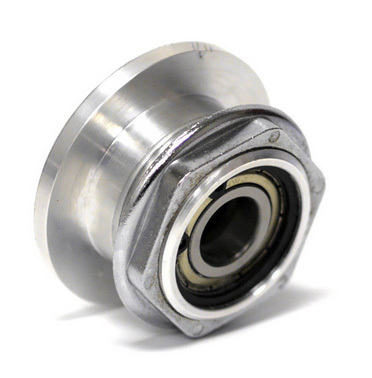 It is machined from billet aluminum and spins easily on twin sealed bearings. 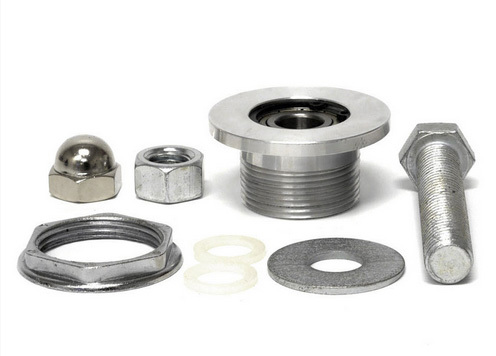 Includes the retaining nut to secure it to your wheel, mounting bolt, (1) metal and (2) nylon washers, and polished acorn nut. 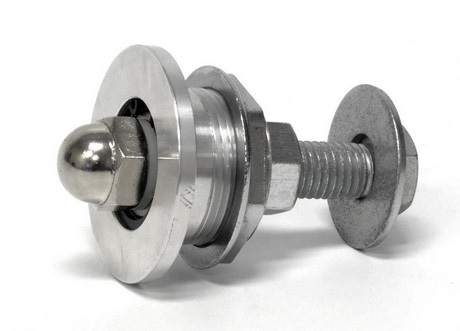 Suitable for prize wheels measuring 1/2 - 3/4 inch thick. Measures 2.5" diameter on the face of the hub. The wheel hole should be 1.65" diameter for a perfect fit.